Plarn a plenty – Craft-a-licious . . I have needed a peg bag for a few months now, but always put off buying one thinking ‘I’ll make one of those one day’. Well readers, this procrastinating queen has actually come good on her promise! Gasp! I’ve accumulated quite a few of the ubiquitous grey ‘t-shirt’ plastic grocery shopping bags, which is no doubt due to the fact that food shopping is high on my list of things to do, especially if bored. There’s not much to do in Kalgoorlie, WA after you’ve done all the ‘touristy’ stuff – hence my collection of these shopping bags. 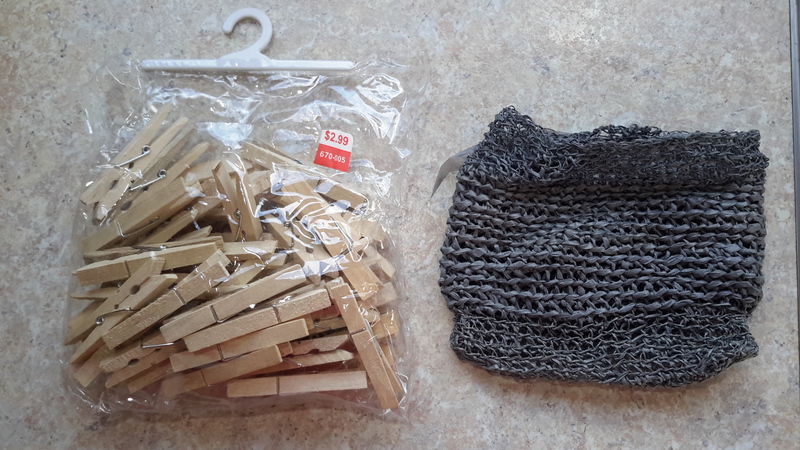 Completed peg bag – yay! 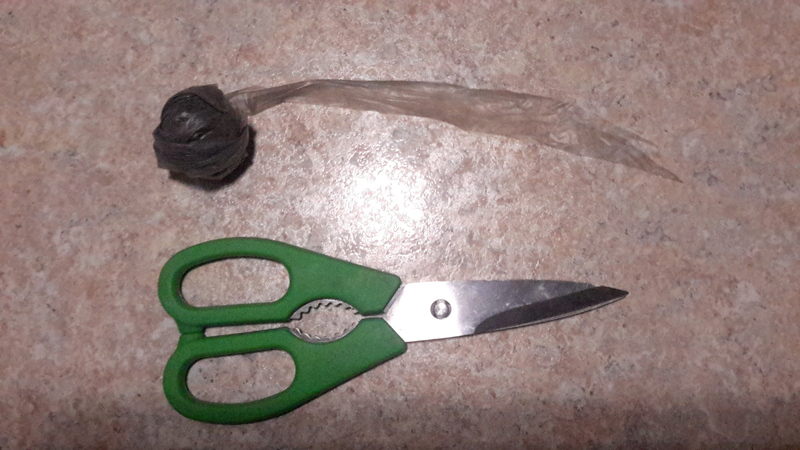 The resultant peg bag is about a third the size of one of the original grey shopping bags – but it took 6 grey shopping bags to make the plarn to create it. 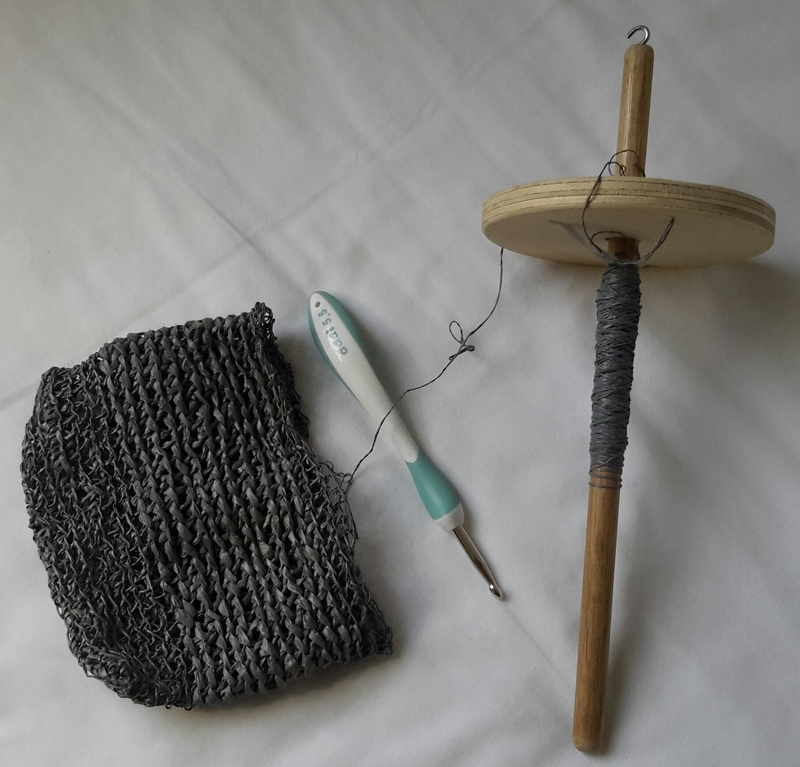 Some of the plarn I spun – which gave it a more ‘stringy’ look once crocheted, but mostly it was cut into a continuous strand made from each grey bag. 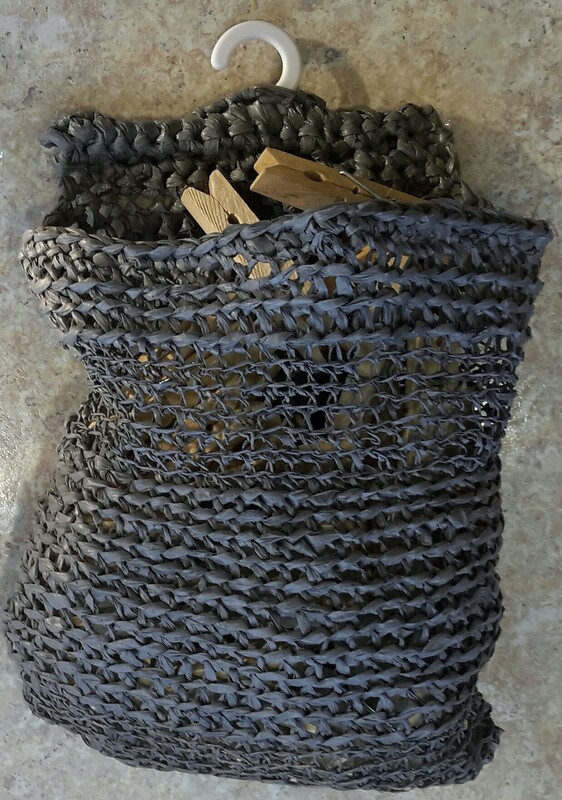 The added bonus of making things from plarn while you are camping – is that any duds created can always be used to start your next campfire, as it is petroleum based. Hopefully I won’t create enough to start a bush fire though! So, dear crafters, give plarn a shot and create something from a resource the greater landscape will thank you for. Thanks Deb! Finally something practically can be done with those dashed bags, of which I’ve accumulated so very many … not to mention how much food I’ve consumed as a result of said accumulation! Clever girl!! Cath you amaze me. Great to control all those pegs too. Thanks kindly for commenting Carole! Yes there are certainly many opportunities for creating stuff with this resource!